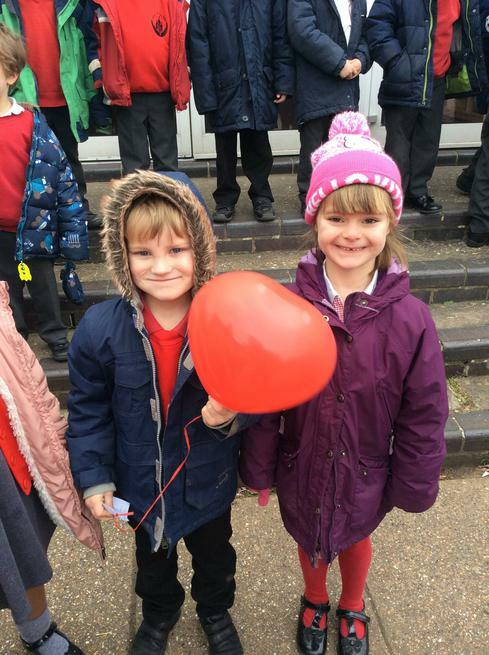 Sending our love into the world! 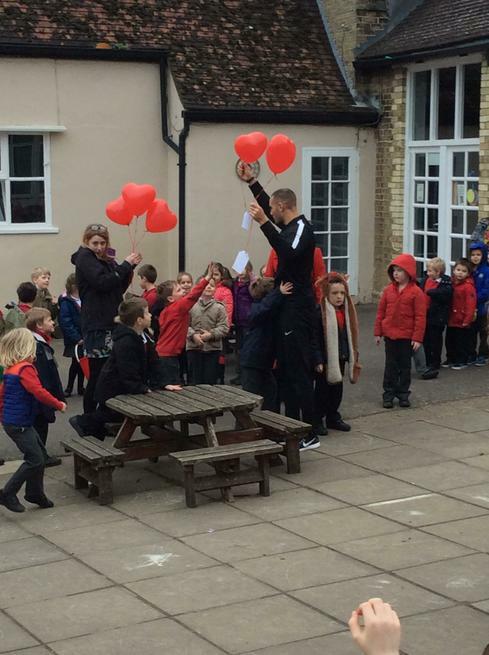 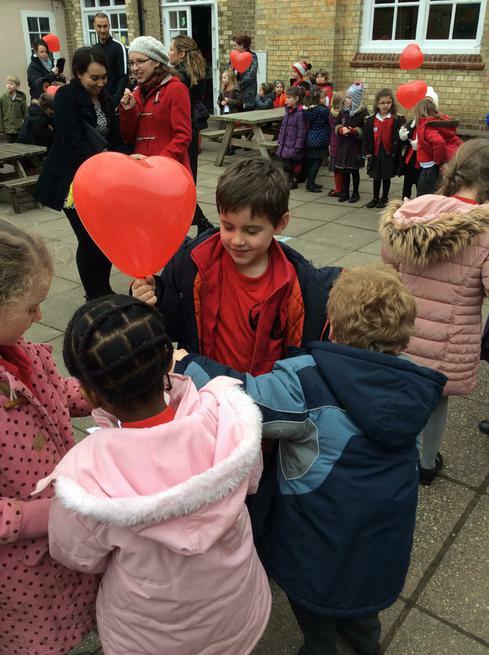 Yesterday we stepped out into the school playground to spread love around the world. 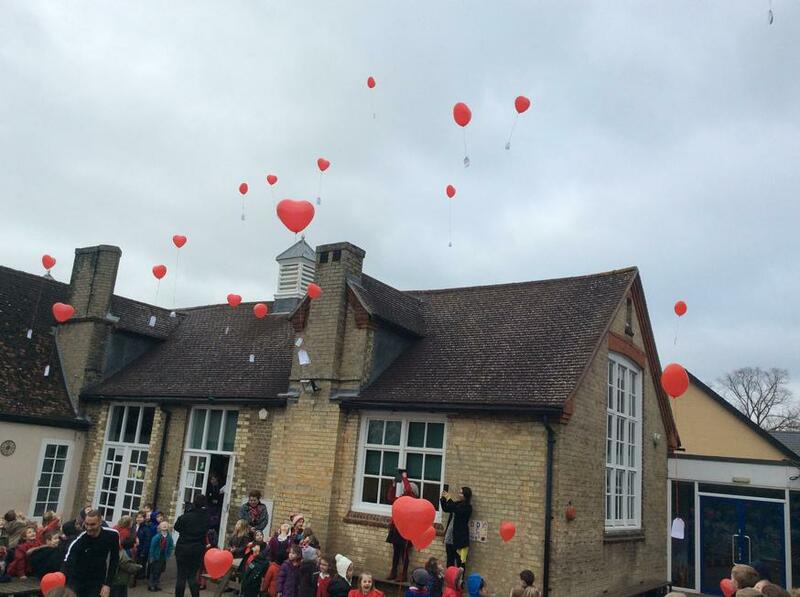 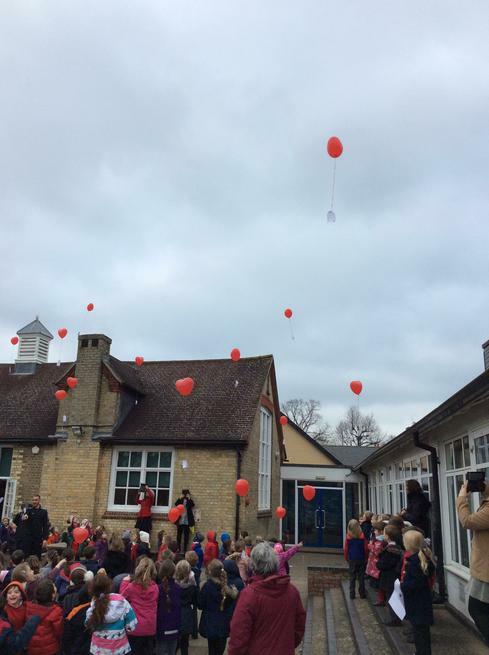 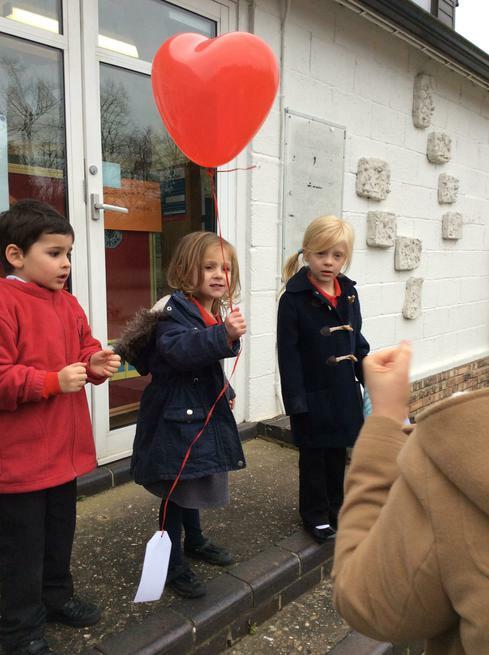 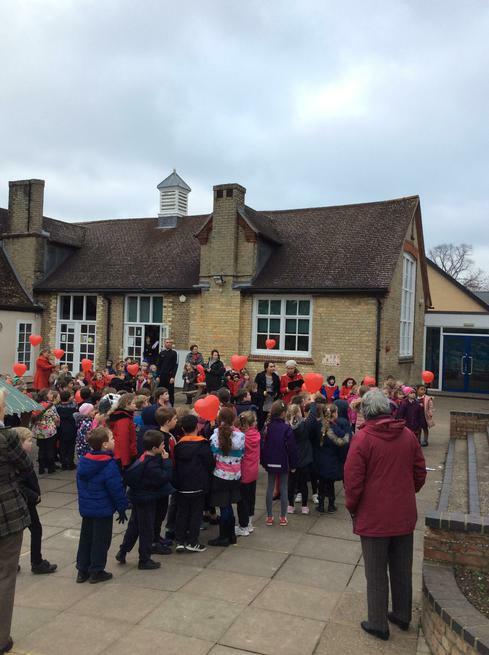 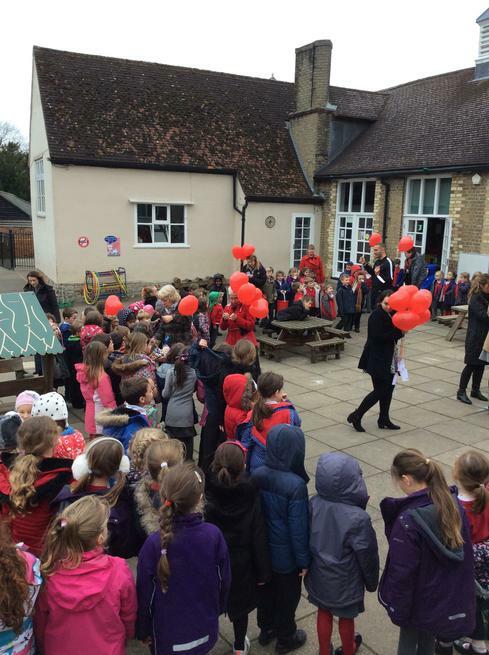 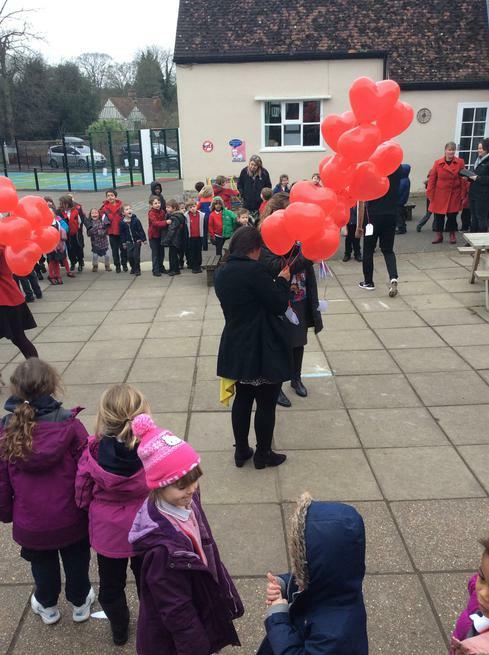 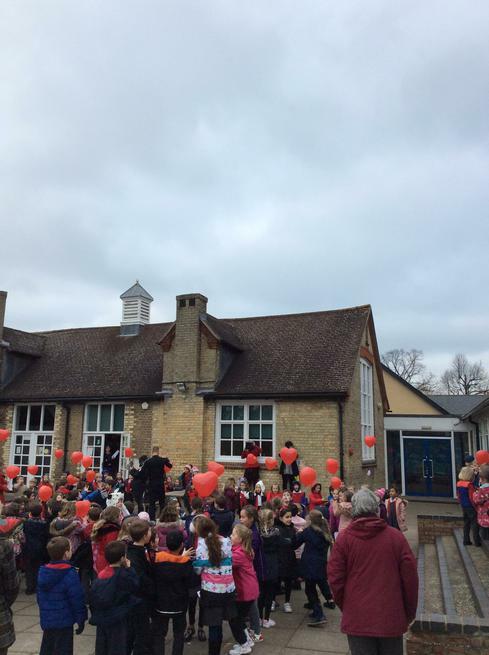 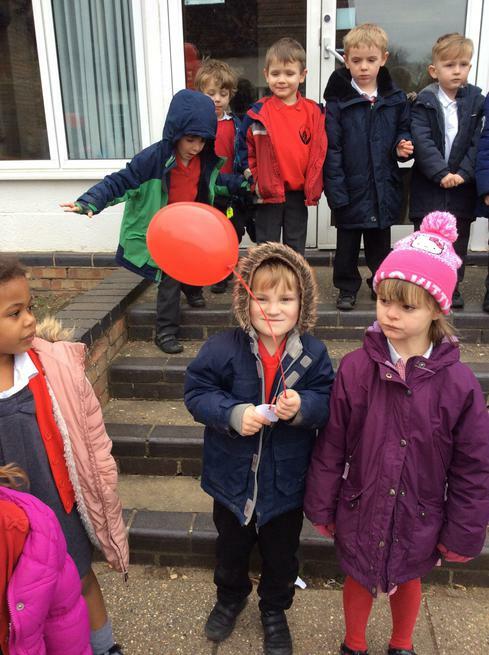 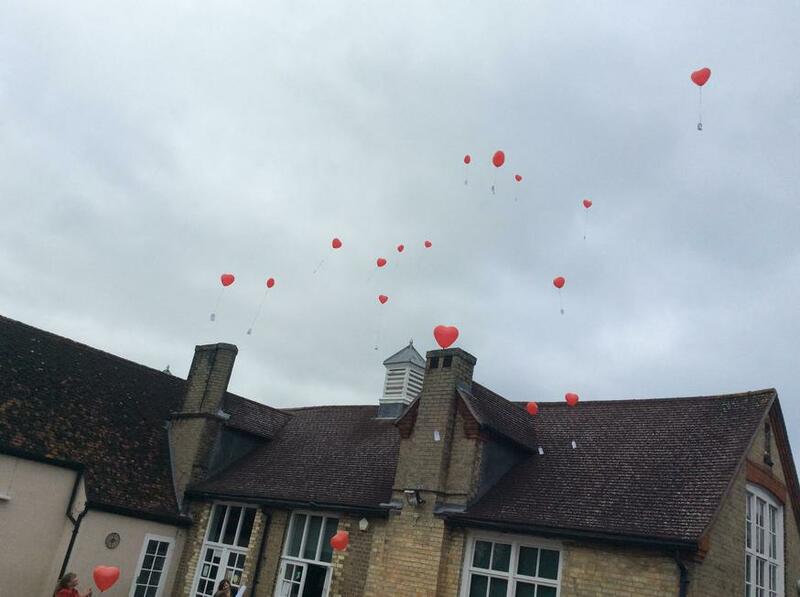 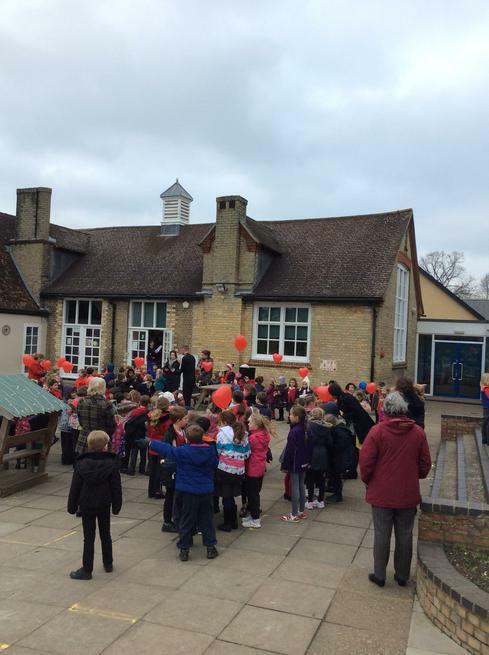 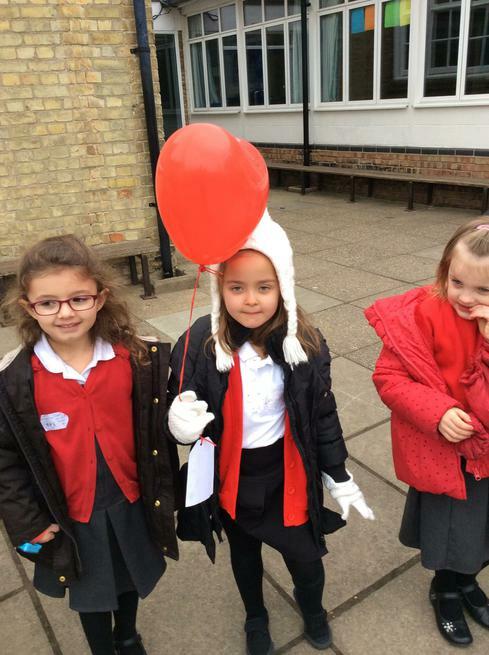 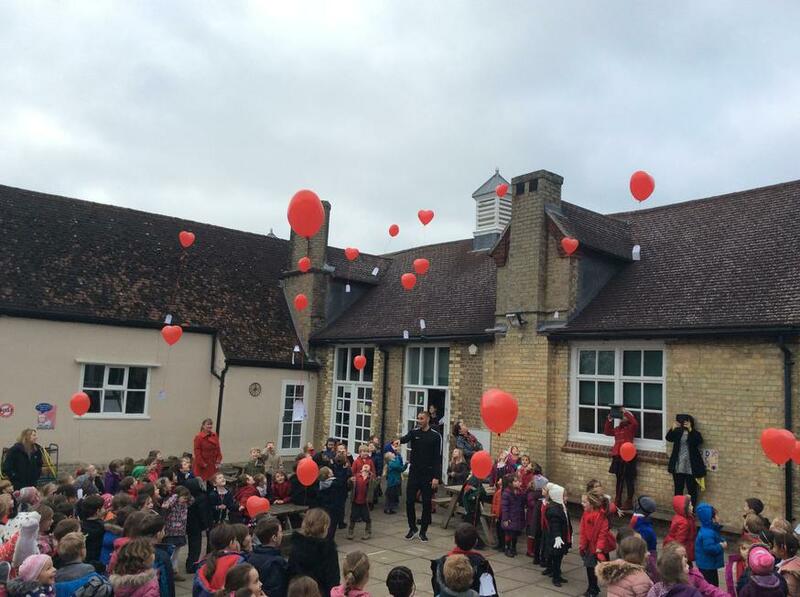 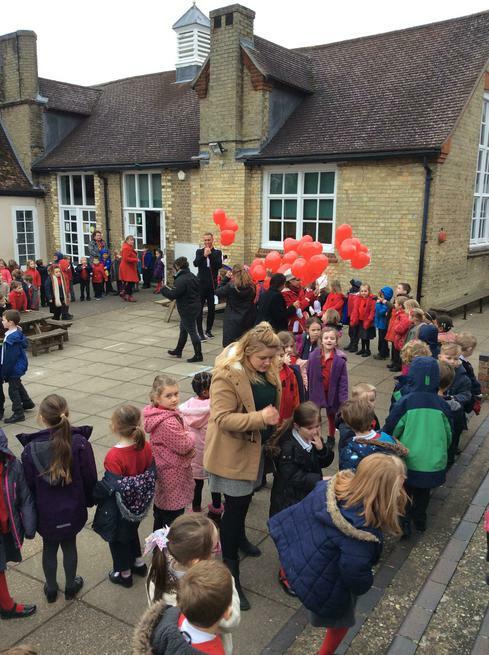 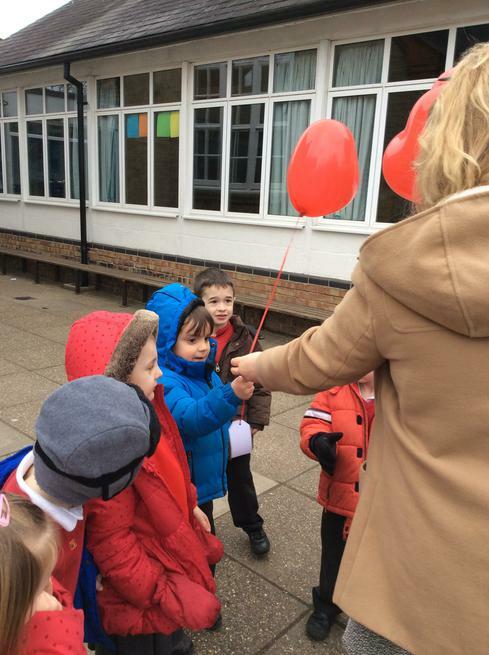 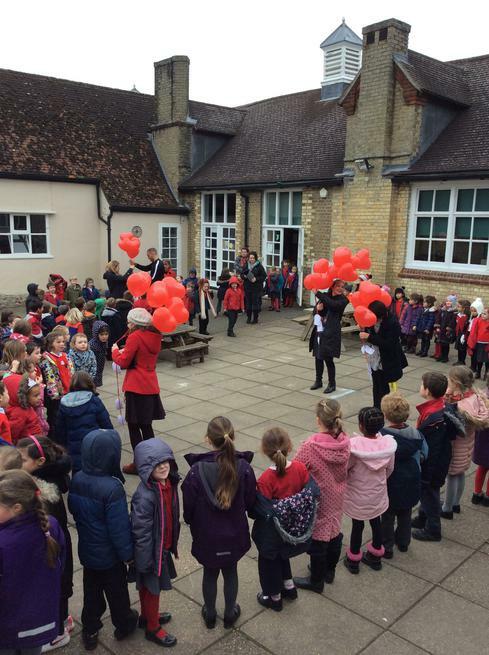 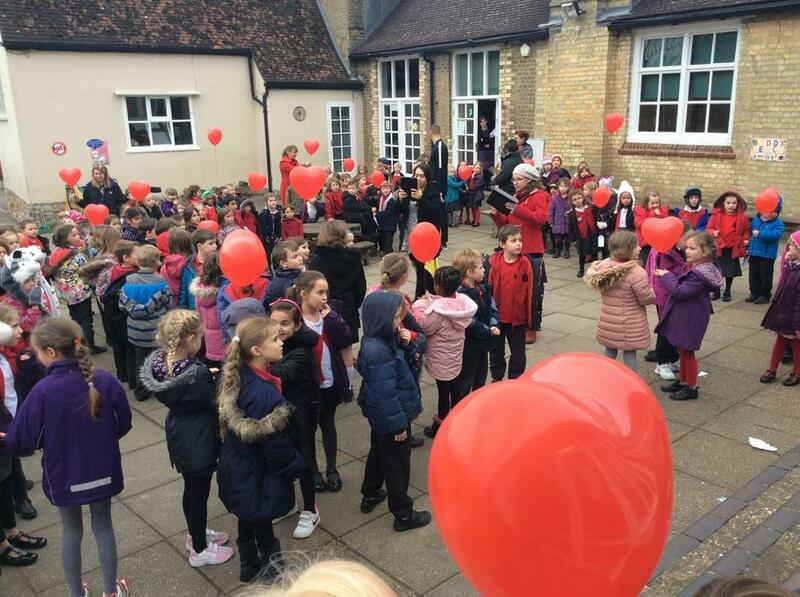 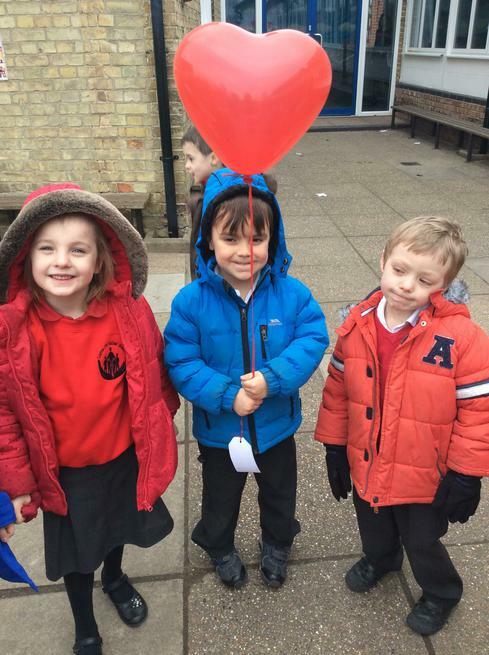 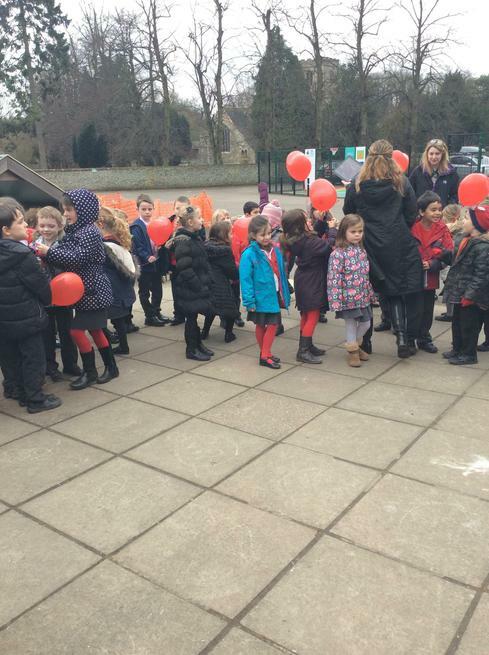 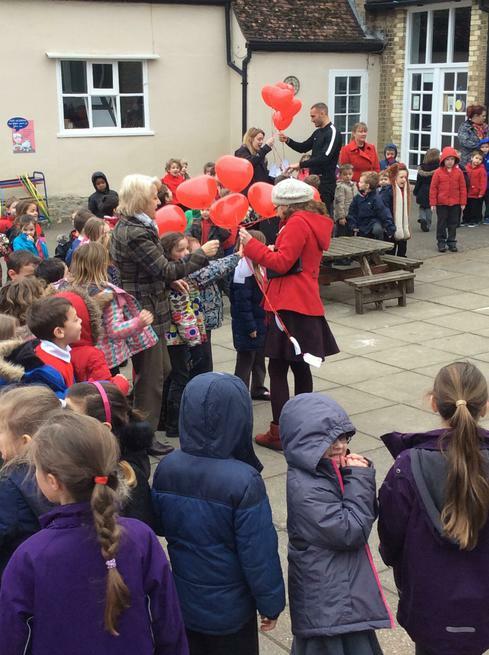 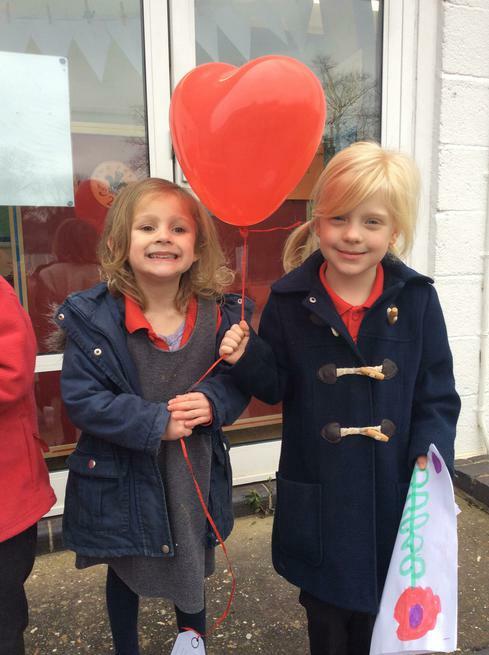 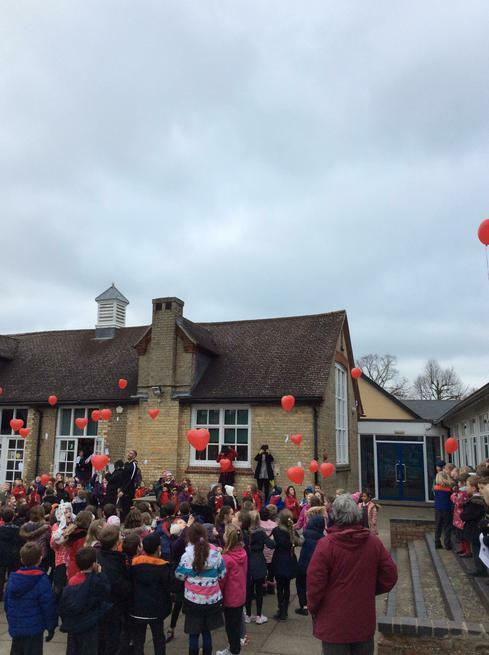 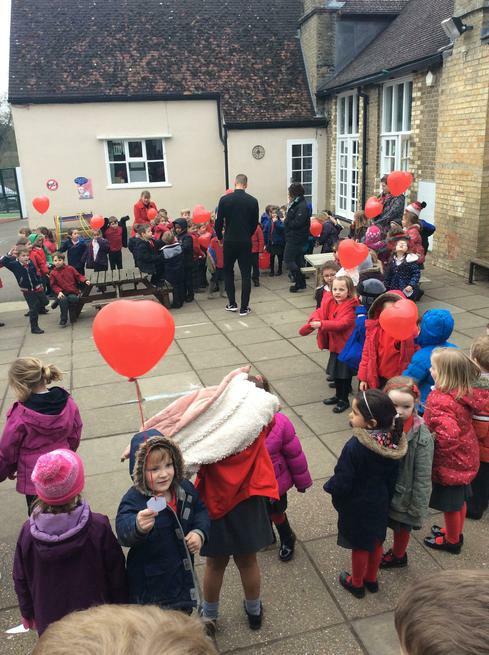 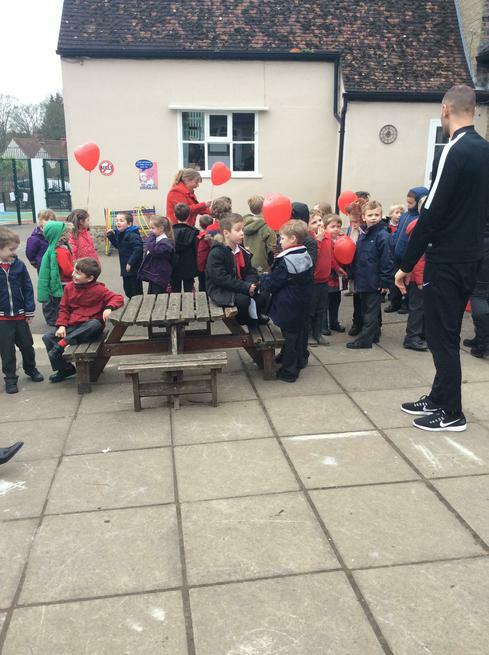 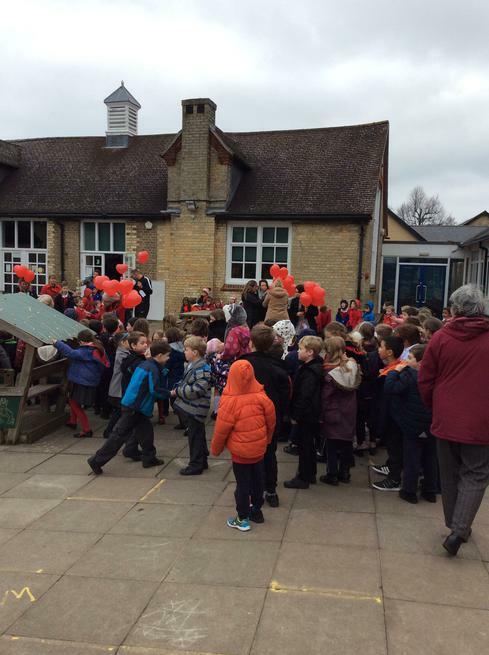 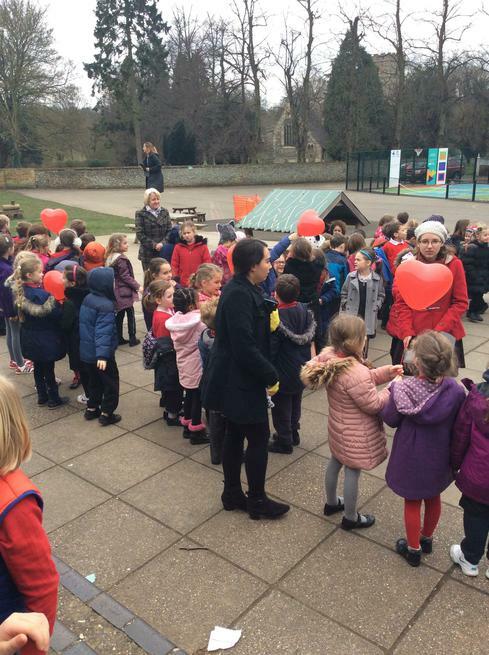 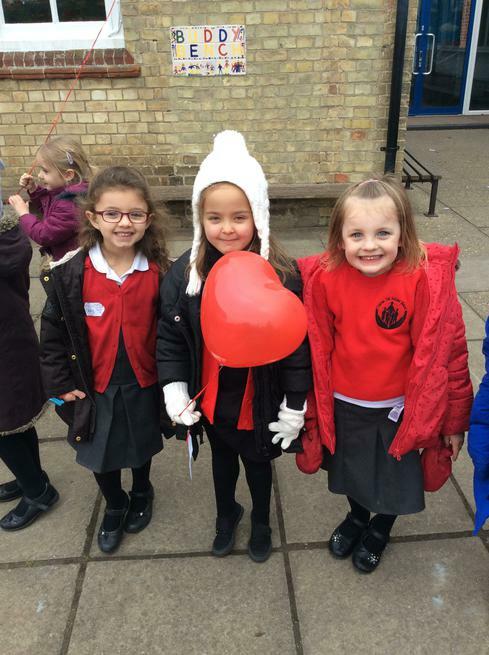 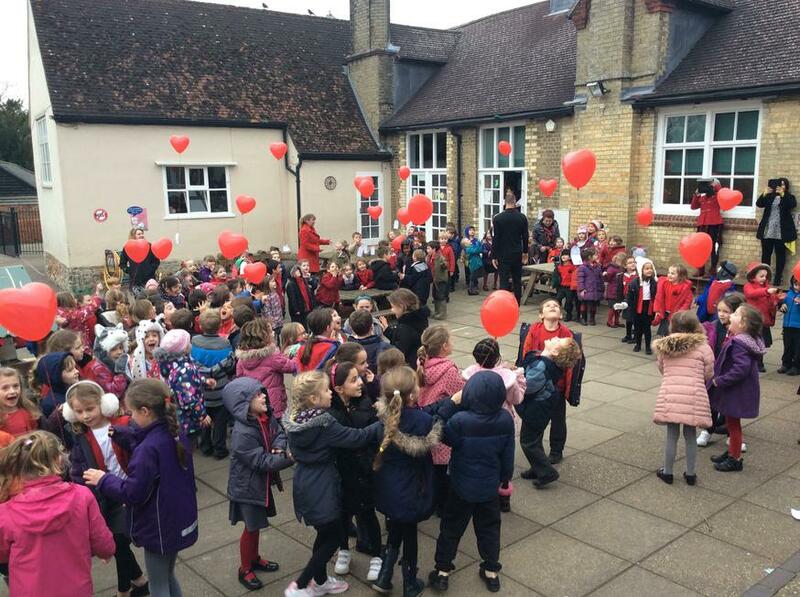 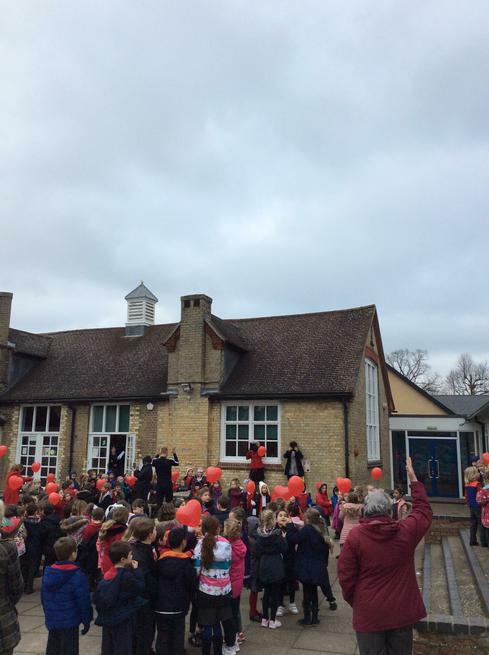 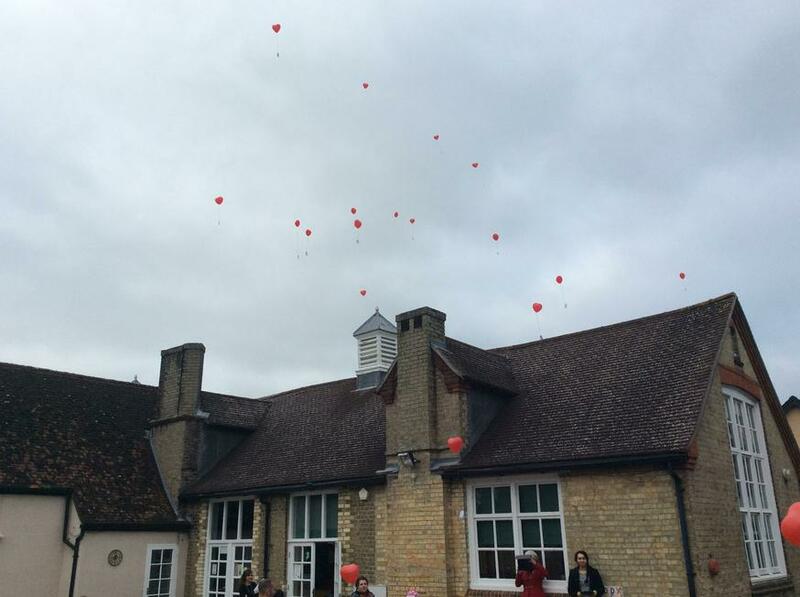 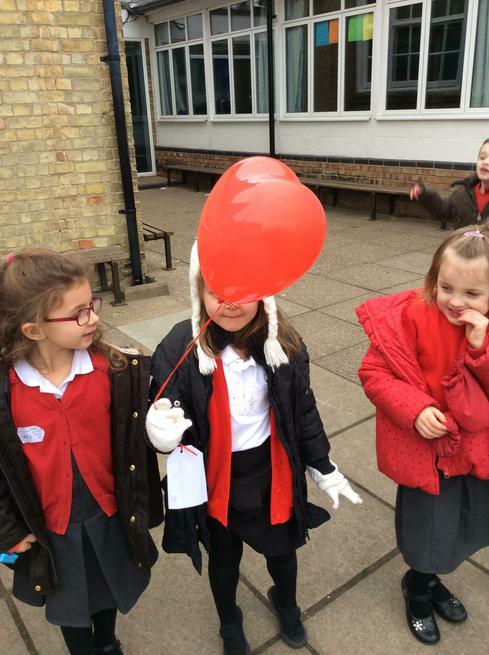 After writing messages of love we attached them to red heart balloons and released them into the skies . 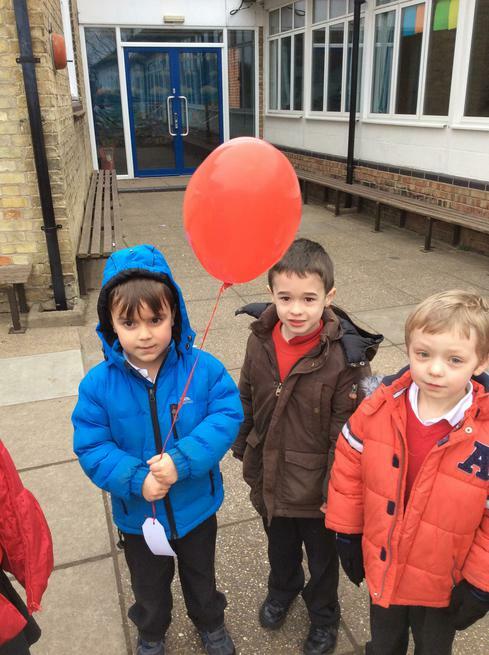 We are excited to see where they will land! 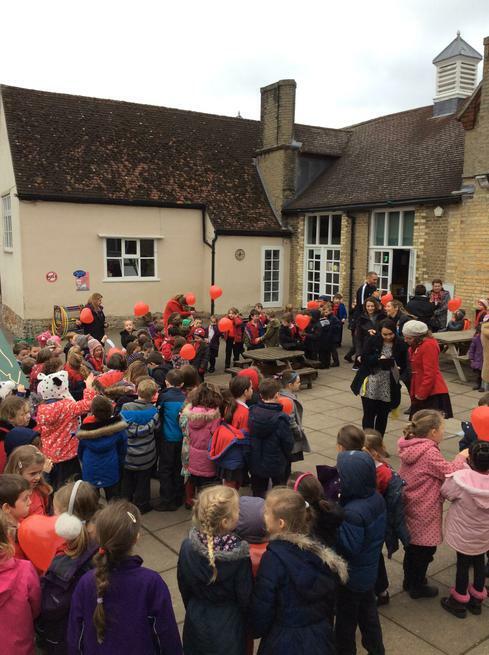 Foundation are hopeful they will reach Africa and Egypt! 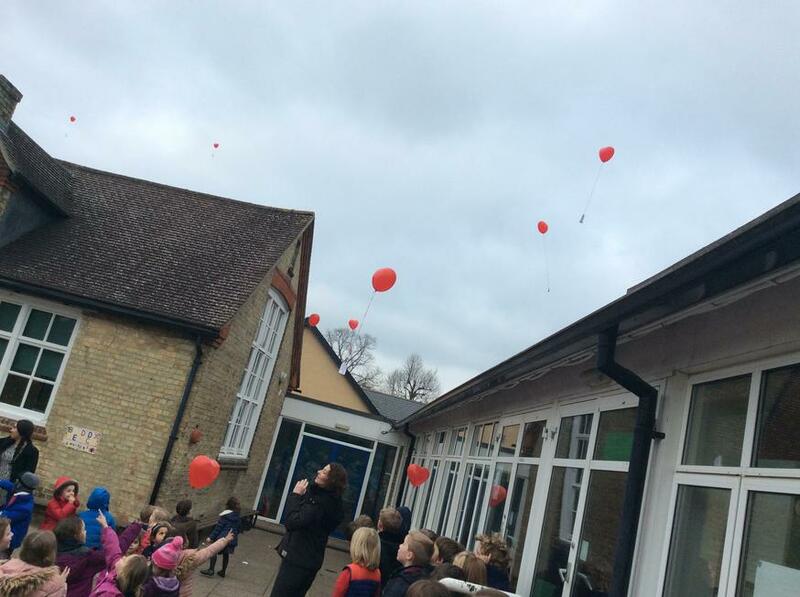 Keep posted to our Twitter feed to see if any have reached a final destination.